The E3 Business Expo is a one-day event for companies throughout the region. It features an exhibition, a seminar programme and a series of networking events. The one-day format helps to eliminate the quiet periods that often occur in multiple-day events and ensures that visitors and exhibitors are able to use their time as productively as possible. This year, the exhibition will feature an ‘energy zone’ where delegates can take advantage of expert advice on issues such as energy procurement, electrical safety and energy-efficient building design. The Expo will also feature four seminars over the course of the day. Aimed primarily at small and medium-sized enterprises, the E3 Business Expo will feature 70 stands. Around 30 places have already been booked, and more than three quarters of those bookings have been made by previous years’ exhibitors. As ever, the event will be attended by a diverse mix of businesses, charities, entrepreneurs and representatives of professional bodies. The Expo routinely attracts visitors from a broad range of industries, so exhibitors will be able to promote themselves to a multi-sector audience. 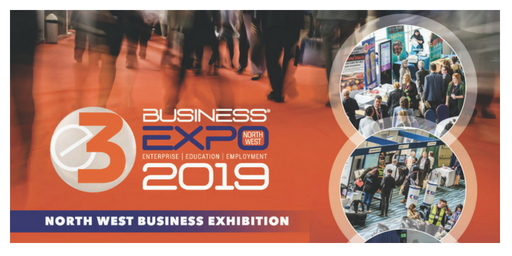 1 Events Media’s Director, Mubarak Chati, said: “The E3 Business Expo is already the region’s most diverse gathering of business owners and managers, and 2019 is shaping up to be the biggest yet. We’ve secured repeat bookings from many of last year’s exhibitors and we’ll be announcing the seminar programme very shortly. Companies wishing to exhibit can book their stands online, on 1EM’s newly improved website – Those interested in sponsoring key parts of the event are invited to contact the organisers or visit the website for more information. Visitor registrations will open on 14th January 2019.